Jesus makes a pun in Luke 4. I’m not the first one to notice this, but it stood out to me as I read my way through Luke 4:14-21 this past week. I’m preaching on the passage at my church tomorrow. to release the oppressed, to proclaim the year of the Lord’s favor. The translations aren’t necessarily wrong to obscure the fact that it’s the same word in each verse. After all, context determines meaning, so even this same word carries different nuances the two times it’s used. But the irony is that in this year of the Lord’s favor, which Jesus notes later in the passage begins “today,” even his hometown will not accept him. There is no acceptance (δεκτός) of this favor (δεκτός). And before we rush to point backwards at the hard-heartedness of 1st century Nazareth, perhaps we easily enough realize those ways in which we fail to accept the favor that God would lavish on us. May Jesus give us sight where we do not see all that he comes to offer us. Call attention to this pun in Nerdy Language Majors group. Thanks for the idea. I’ll mention it there. Good point. And sorry to hear about your comment getting weeded out. I thought you’d commented here before, so that shouldn’t have happened (it was automatic). I’ll check. 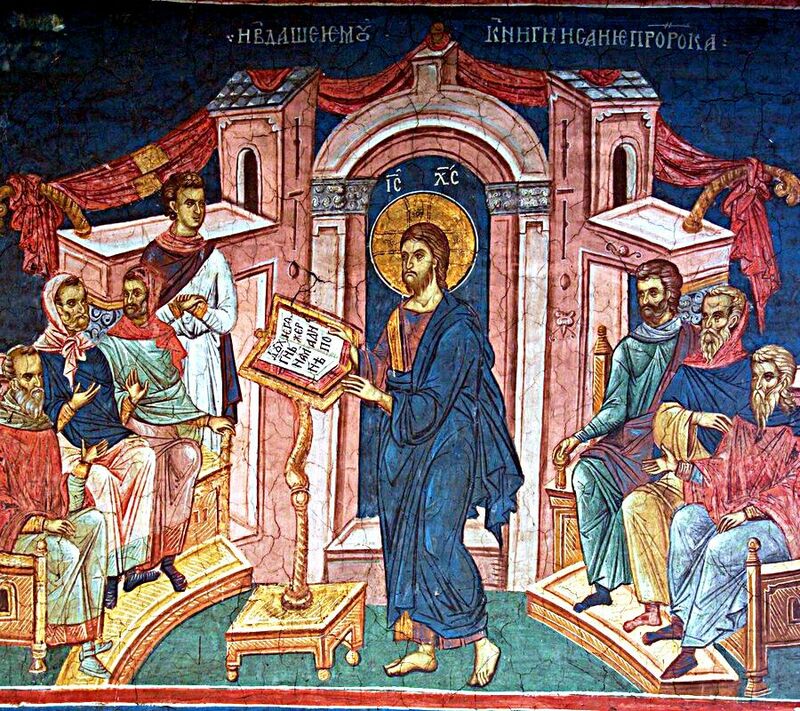 Any idea where the image/painting/icon of Jesus reading the scroll came from?